Our guides are also certified canoe instructors, specialising in open canoe. Apart from the canoeing trips and expeditions we can also provide open canoe courses from 1 to 6 days on flat water and whitewater up to level III+ with solo or tandem canoes in the area Hedmark, Norway. We use excellent quality Royalex open canoes from the Canadian brand, Esquif. You can try paddling the Raven, the Vertige, the Zephyr solo or tandem in a Présage or a Canyon. Every year we plan a whitewater Week of Rivers in July but we can also offer courses on request. 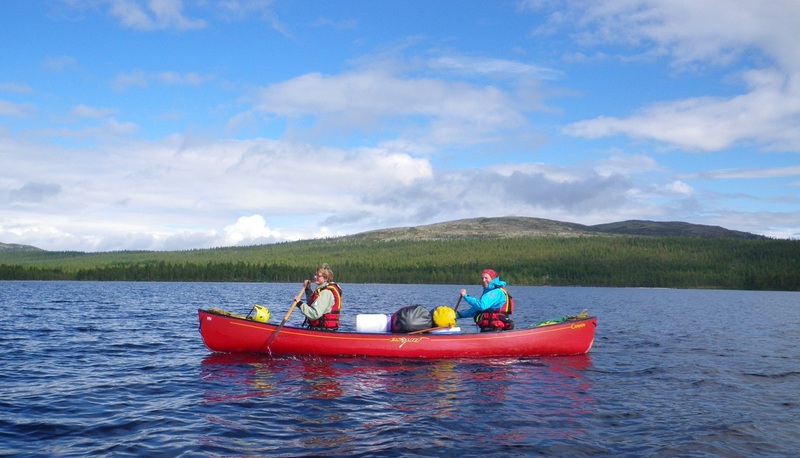 Planned group canoe trips and expeditions in Norway on our summer programs pages. Possibility to pick you up from Trysil (busstation) or Røros (airport) area and 50 kilometers around, max.8 persons, not included.